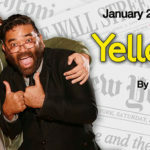 Of the many great joys Los Altos Stage Company has had in producing David Henry Hwang’s Yellow Face,perhaps the most rewarding is the large number of actors working with our company for the first time. One of those actors is Akemi Okamura, new to LASC but not to the Bay Area theatre scene. 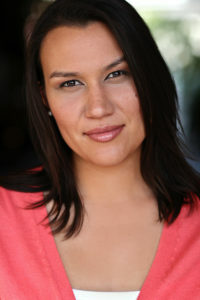 Akemi has been seen with City Lights Theatre Company, Impact Theatre, The Renegade Theatre Experiment, and Silicon Valley Shakespeare. Akemi earned her BA in Theatre Arts from the University of Puget Sound, and currently holds the title of FutureWorks Fellow and Artistic Assistant with TheatreWorks. LASC was lucky enough to catch a few spare moments with Akemi Okamura to discuss her involvement in Yellow Face. 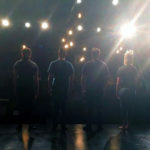 LASC: This is your first experience working with Los Altos Stage Company. How did ]you become aware that LASC was producing Yellow Face, and what drew you to the project? AO: I became aware of Yellow Face through our director Jeffrey Lo. After reading the script I was drawn to the project because it deals with issues and struggles that are still relevant today. I knew that Jeffrey would bring together an incredibly solid and supportive group of artists and that, paired with the script itself, was reason enough for me to want to join in! LASC: Have you worked with Jeffrey Lo before? What were your past experiences working with him like? 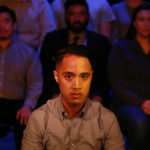 AO: I’ve worked with Jeffrey many times, the first time in Renegade Theatre Experiment’s production of The Drunken City. Since then, collaborated on a number of readings and other projects, and we share a cubicle wall at TheatreWorks! As an actor, working with Jeffrey is great because he makes the process as collaborative as possible. He gives you the freedom to try a bunch of things, and he communicates his thoughts in a way that makes you feel like you’re truly working together. Jeffrey is also fantastic at creating a safe space for all of his colleagues. You always feel welcome when you’re working on a show with him, and he has this amazing ability to bring together artists who are not only talented, but kind and fun as well. The fact that he is able to create both wonderful art and a wonderful experience is a testament to his ability as a director. LASC: You play many different characters in Yellow Face, some of whom the audience meets for a brief moment and then are never seen again. What are the challenges in having to create a wide range of characters that may only have seconds on stage to connect to the audience? AO: The biggest challenge is the relatively small window of time you have to ramp up to that character, then play that character. The fact that there isn’t a lot of time means that you need to make big choices, but because we’re all on stage the entire time, it’s like starting at a stand-still: You don’t get the benefit of “getting a running start” so to speak. You also have to watch out for two characters being too much alike, in which case the challenge is making sure that the choices that I’m making are well thought out and intentional. It’s been a hoot to wear so many hats in one show! LASC: You have extensive theatre credits all over the Bay Area; what in your past stage work has prepared you to take on this project? AO: One of the coolest things about doing theatre in the Bay Area is the diversity, not only in our artists, but in the work being done. I’ve had the opportunity to play a variety of characters over the past few years, and the fact that I’ve been given the chance to try my hand at so many things has made a difference in being able to approach the number of characters that I’m playing in this show. Plus, living in a community where being able to have a dialogue about a number of topics has really helped me in participating in conversations surrounding the themes and issues in Yellow Face. LASC: As an actor of mixed race, what aspects of Yellow Face speak most strongly to you? 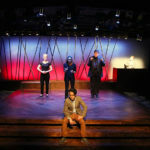 AO: The thing that resonates with me the most is that the play speaks to the idea that there is no one person who is the authority on navigating the complex issues that are race and identity; that it is something we all need to work on together. I really love and relate to the character of HYH because he so firmly believes in his dream, and no one has the right to tell him who he is. The actual practice of “yellow face” itself is frustrating, and sadly is still something that happens today. 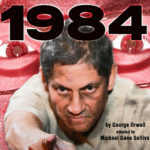 So many of the themes and incidents that happen in this play are still relevant, despite the fact that it takes place over several years during the 1990s. That alone speaks strongly to me because it shows that there is still so much work to be done when it comes to education and inclusion. Of course, the play being about the business of theatre also speaks to me. Being both an actor and a person who works in arts administration, I find so many parts of this play hilarious and genuine because I’ve been there. I’ve seen and experienced some of these things. The audition scenes in particular crack me up because I’ve been both the actor and the reader in the audition room, and I love what my colleagues bring to those moments. 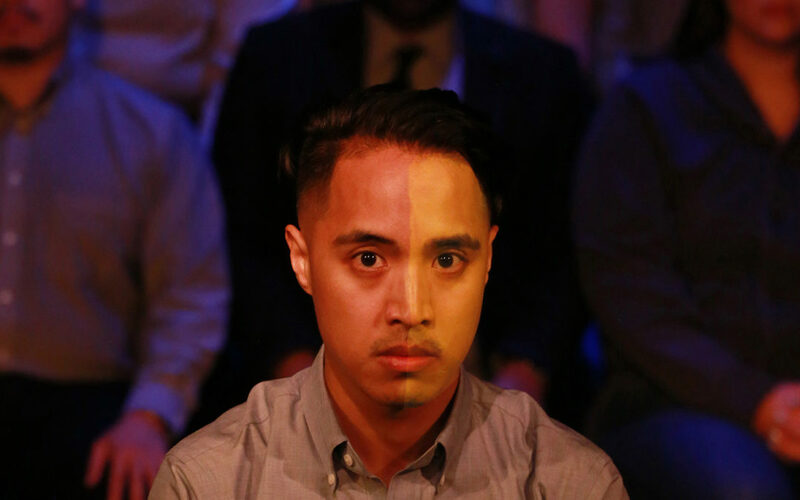 Yellow Face is a play about an artist navigating self-identity through his art, and that is something every artist struggles with at some point in their careers. I think that’s pretty cool. Akemi Okamura can be seen in Yellow Face starting January 26th, and running Wednesday through Sunday until February 19th.